1939 Play Ball Baseball PSA NM-MT+ 8.5 Pair. 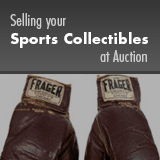 Offered is a high quality pairing of 1939 Pay ball baseball cards. Includes: #'s 109 Myril Hoag (PSA NM-MT+ 8.5, Pop One, Two Higher) and 121 Bill Posedel (PSA NM-MT+ 8.5, Pop One, Two Higher).